For many people, the garage is a wonderful place to be. While garages may have the connotation of being dirty, greasy places where chores are done, for car lovers, gear heads, and people who love working with their hands, garages are a playground. If you’re anything like us, you probably think that your garage is your own personal version of Disneyland. If you fall into that category, then chances are you’re always trying to find a way to make your garage even better. We’re constantly tinkering with our garages: changing the storage setup, trying to make it more efficient, and the works. But of course, nothing changes a garage for the better like the addition of new tools. Or as we car nuts like to call them: toys. While many people see mechanics tools as being simply utilitarian, we see them as having the potential to be a lot of fun. Of course, certain tools are more fun than others. While flash lights and oil pans and jacks are vital parts of any garage, and we enjoy using them, we wouldn’t exactly label them as fun. But that’s not to say there aren’t a ton of tools out there that put huge grins on our faces, and that we can’t wait to play with some more. So don’t worry, we’ve got you covered if you’re looking to add on to your wonderful garage: these are the nine garage toys that we simply can’t get enough of. 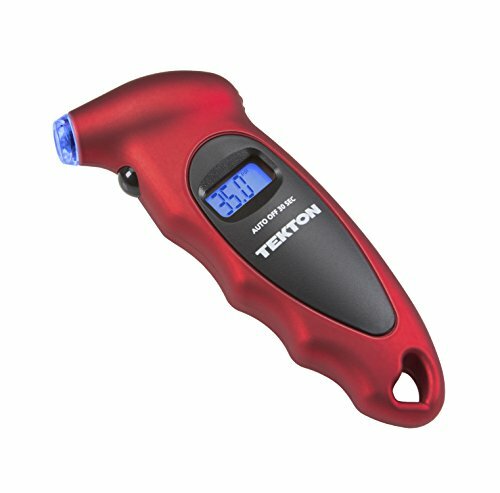 The TEKTON Digital Tire Gauge is a simple, yet brilliant tool, and we keep them in our car as well as in our garage. At less than $15, it’s worth purchasing one of these gauges to keep in the glove compartment of every car you own. The TEKTON gauge is incredibly simple: you turn it on, select one of four pressure ranges (0-100 PSI, 0-7 bar, 0-700 kPa, or 0-7 kg/cm2), and then place it on the valve stem. In no time at all, the tool delivers you with a highly accurate, digital reading. The benefits, of course, are numerous: you get a much more accurate reading with a digital gauge, and you don’t have to worry about accurately reading the pressure, as you do with a traditional gauge. It’s instantaneous, and you don’t lose any tire pressure gathering your reading. That alone is worth the price of admission, but it gets even better. The gauge has a flashlight attached to it, as well as a display light, so you can use at night just as easily as you can during the day. And finally, the tool automatically turns off after 30 seconds, so you never have to worry about draining the batteries. Like we said, we keep one in the glove compartment, as well as in the garage. It may sound boring to some, but an instant, highly accurate tire reading is our definition of fun. There are a lot of Bluetooth and WiFi OBDII scan tools on the market and, for the most part, you can’t go wrong with them. However, while we’re fans of many of the available scan tools, the BlueDriver model is our consensus favorite. What helps set the BlueDriver apart from other scan tools? Well, a few things. For starters, the tool has a database featuring more than 6.6 million automotive fixes, organized by vehicle type. 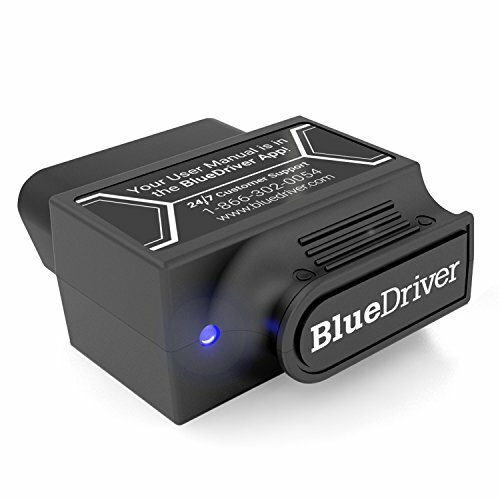 When you purchase the BlueDriver, you get free Repair Reports that are specific to the vehicle you have, and the trouble codes that the scanner has identified. So not only does the BlueDriver help you determine the trouble codes you have, but it diagnoses what they mean, and what the likely repairs are. Just as importantly, our experience was that these Repair Reports were highly accurate. We were also impressed by the modern technology and detail of the BlueDriver device. The company is constantly sending out app updates, to ensure that the highest quality scanning is always available to owners of this product. You can save the codes on your smart phone or tablet, so that you can refer to them at a later time, and we found that the Bluetooth works flawlessly. To top it all off, the app is licensed with both Apple and Android. But the fun doesn’t stop there! The BlueDriver also offers advanced test results (such as misfire counts), and, our personal favorite, live data graphs. At $99.95, the BlueDriver is a little bit pricier than mane of the scan tools on the market, but it’s still a killer price for everything that the product offers. Rescue Tape is a pretty simple toy, but we love it. It’s another one that we keep in our glove compartment as well as our garage. The concept is simple: Rescue Tape is a repair all tape that can fix just about anything. And it’s absolutely perfect for cars. In general, we’d say that using tape as a repair tool is not a good idea, but when that tape is Rescue Tape, our opinions change. 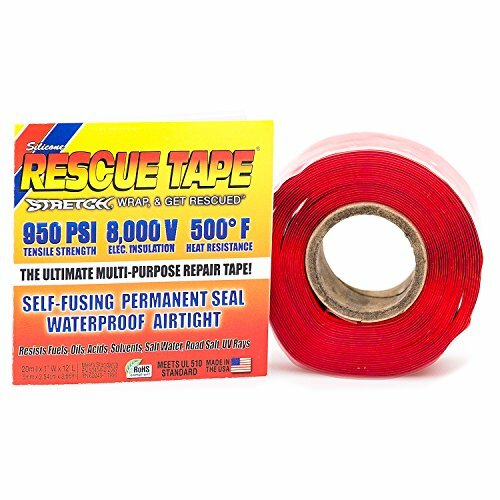 Rescue Tape is safe up to 500 degrees Fahrenheit, can insulate 8,000 volts, and has a tensile strength of 950 PSI. It’s waterproof, air tight, and incredibly durable. Yes, we use Rescue Tape when we’re working in the garage. It’s an easy and affordable way to patch up small leaks, tears, and holes. And finding an issue that would cost a lot of money to fix at an auto shop, and tackling it with a little piece of red tape? That’s fun in our garage. Gone are the days of clunky, enormous air compressors that you have to stop every 20 seconds so you can check your tire pressure. 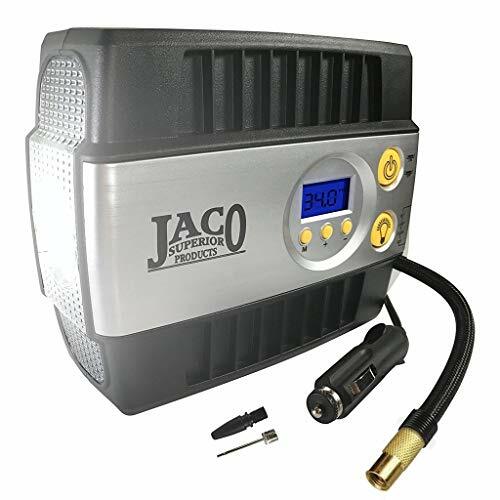 Enter a new age of tire pressure: digital air compressors, like the JACO SmartPro. With the JACO SmartPro, you simply set your desired tire pressure (anywhere between 0 and 45 PSI for car tires), hook the nozzle up to your tire valve, and turn the machine on. When your tire reaches the desired pressure, the precise and highly accurate machine will automatically shut off. A problem that we’ve identified with some modern tools is that the durability and quality are low, even when the technology is high. Not so with the JACO SmartPro, which features a 24” air hose that is heavy duty and woven, and a foundation that is rock solid (though not too heavy). While we love to use the JACO SmartPro in the garage, it also can be a great emergency addition to your vehicle. With a 10-foot power cord, and a power adaptor that can be plugged into a standard vehicle 12-volt DC accessory outlet, you can use this air compressor on the side of the road any time you notice a tire losing air. If you do opt to jeep the SmartPro in your car, you’ll be benefitted by the built-in LED light which can not only operate as a flashlight, but can be a flashing red light, or an emergency SOS light. However, our favorite thing about the JACO air compressor is the size. At 7.5 x 2.5 x 6 inches, and only two pounds, this thing is a baby compared to the air compressors of yesterday. It barely takes up any room in our garage, yet it’s incredibly useful. And at a remarkably affordable price, we bet you’ll want to get one of these toys for your garage, too. Some people like to comb their hair. Some people like to comb their cat. We like to comb our radiators. We use the Allstar radiator fins to clean not only our radiators, but our air conditioning condensers as well. And not only do these combs do a great job cleaning radiators and condensers, but they can fix damaged fins, and help strengthen and repair fins to make for more efficient systems. 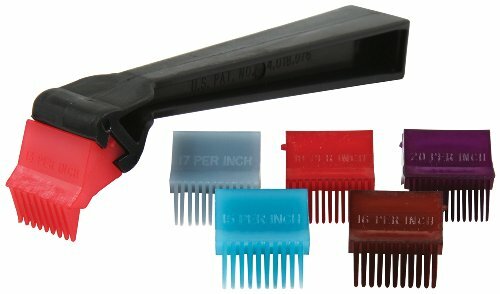 The Allstar Radiator Fin Comb kit is less than $20, and comes with six comb sizes. With 13, 15, 16, 17, 18, and 20 fins per inch, you’ll be able to use these combs on just about any radiator or air conditioning condenser. Our experience was that the Allstar combs are not only the most effective combs we’ve tried, but also the most durable. And an affordable way to keep a part of the car healthy, rather than a pricy repair, is our idea of fun in the garage. If you care about practicality, health, and making sure that your repairs are fun and not painful, you need a creeper. And no creeper is better in our eyes than the Omega Foldable Z Creeper. The Omega model is one of the most comfortable creepers on the market, but where it really shines is in the fold. In just a matter of seconds, you can fold the creeper up into a seat (while still keeping the wheels on the ground, so that you can continue to roll). We’ve tried a lot of foldable creepers, and most of them are a little bit clunky. Either they’re hard to fold, or they’re not particularly comfortable either as a creeper or as a chair. None of these complaints exist with the Omega Foldable Z Creeper. You don’t need any tools to fold the model from a creeper to a chair, and no matter how much we used it, the pads were extremely comfortable, and the wheels easy to use. The 40” steel frame is highly durable, and with a 450 pound capacity, you can even use the creeper as a tool caddy if you need to. At just under $100, the Omega isn’t the cheapest foldable creeper on the market. It is, however, the one that we swear by, and love using in our garage. This is our definition of fun. 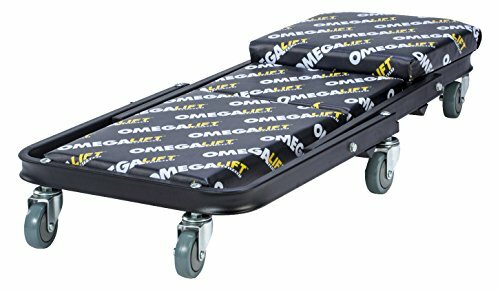 You can buy the Omega 9100 Black 40” Foldable Z Creeper here. Do you ever watch Formula 1, or NASCAR, or the IndyCar Series, and see the pit crew changing tires in a span of seconds, and have a strong desire to do the same? Yeah, us too. You don’t need an impact wrench to remove your lug nuts, or to tighten them. But that’s exactly what makes an impact wrench so fun. Working in the garage is a practical endeavor, so when you find a tool that’s a tiny bit superfluous, that’s when things really start to get fun. If you do a lot of non-mechanic work around your house and garage, you may want to invest in a more expensive impact wrench, as the pricier units can be stronger and more durable. But at just $49.95, we’re in love with the ACDelco model for making tire removal fun. 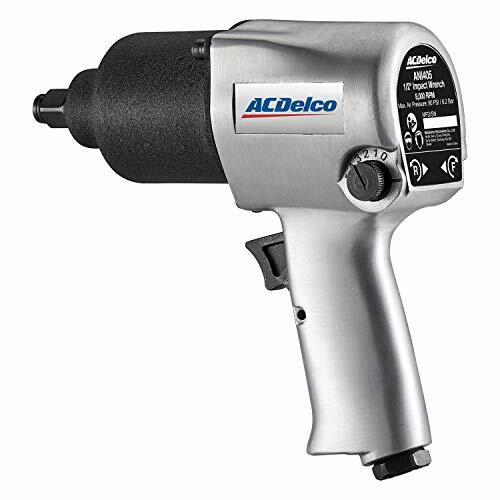 The twin-hammer mechanism in the ACDelco impact wrench is incredibly powerful, and provides 500 ft-lb of torque. And at 7,000 RPM, we were amazed at how quickly this little tool could go. In the forward position, this impact wrench has three speeds, though it only has one speed in reverse. At only 3 pounds, we found that we can carry the ACDelco unit with us anywhere around our vehicle without it ever being an inconvenience. Truthfully, we were a little dubious that an impact wrench in this price range could be so good, but after using it and pretending we were crew-pitting a race, we’re sold on this fun little tool. Some mechanic tasks aren’t easy to do from your own garage. So when a tool comes around that really makes it convenient, we get pretty giddy. 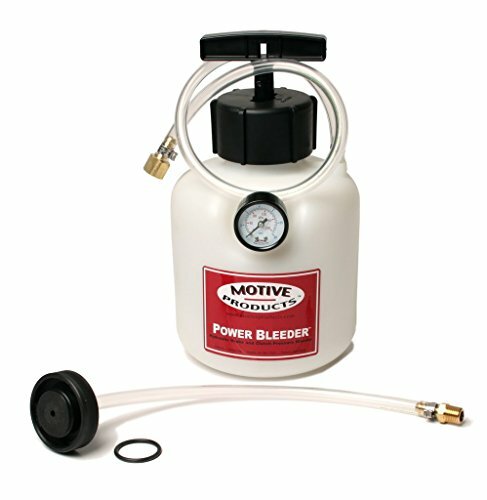 The Motive Products Brake System Power Bleeder makes bleeding brakes, and some clutches, really easy, which can save any home mechanic a lot of money (and that’s fun!). At just 2.5 pounds, and under $55, this power bleeder is remarkably practical. We had no problems using it, and it made what would otherwise be a painful hassle of a task quite fun. The only caveat with the Motive Products model is that you have to make sure you buy the right product to fit your vehicle. However, when you go to purchase this affordable unit, you’ll get the opportunity to input your vehicle, and see which model works for you. We love having this toy in our garage, and we know you will too. Most of the fun tools in this article have still been pretty practical. The Handpresso Hybrid Auto Set? Not so much. This tool is only about the fun. The Handpresso is an espresso maker, that can be powered through the 12V power adapter in your vehicle. Coffee is second behind only cars in our book, so that right there is enough of a selling point. But to top it off, the Handpresso makes absolutely spectacular espresso, in a matter of mere moments. Now, we’re big fans of the Handpresso when we’re driving. To be able to make a glorious cup of espresso in just a few seconds, without leaving your car is our idea of a good time. But we’ve also come to realize just how good the Handpressso Hybrid Auto Set is for the garage. 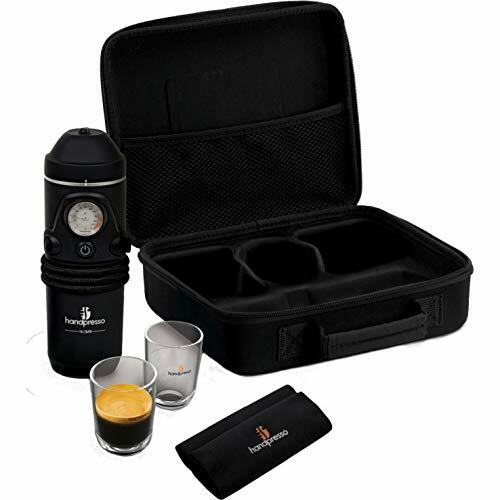 Rather than putting a boring coffee machine, or an expensive espresso machine in your garage, will it will get dirty and possibly damaged, you can simply keep your Handpresso in the car. Then, when you’re in your garage tooling about on your vehicle, all you have to do is turn on the Handpresso, and you’ll have a great cup of caffeine to help power you through the rest of the work. This may seem a little silly, but a great cup of espresso, while playing with our car? That’s our definition of a fun garage tool. There’s no shortage of fun tools for your garage. If you love cars as much as we do, then there’s no doubt that you could add just about any tool to your arsenal, and you’d have a good time. We’re the same way, but the nine tools above are some that really stand out to us. We’ve added them to our garage, and now we can’t wait to get back in there as often as possible. Whether you buy one of these, all of these, or put some of them on your birthday wish list, you’ll be happy with any and all of these items. Have fun in that garage!